Welcome to another school year. On this page we will share the latest news about school council. All the elections have taken place and this year's school council can be announced. We will be meeting during lunchtimes to discuss school issues that will then be reported back to class. We will collect ideas and thoughts from our class mates and take them back to council. Mrs Monahan, school council leader. Coming soon ... The Big Pedal 2016. 19th-29th April 2016. More details to follow. Coming soon ... School council cake sale. Friday 1st April, 10:30am. Cakes 50p each. All money will go into the school council account and a collective decision will be made as to how it is spent. The school councillors lead the way! 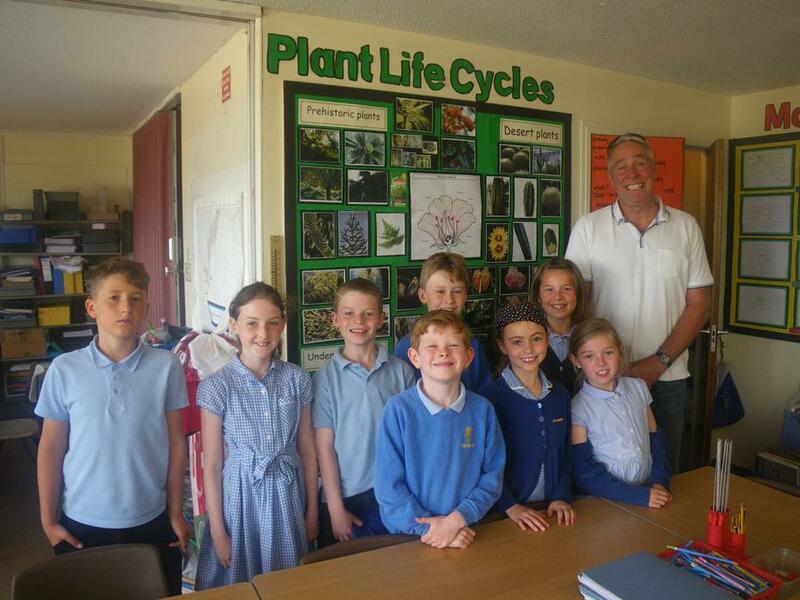 Ted Hartill has joined forces with Shoreside's School Council to help with a local clean up. It has recently been reported that there is an increasing amount of dog dirt around the pathway between the school field and the railway tracks. Ted has arranged for a dog dirt bin to be placed there. Children at Shoreside have designed and made posters to remind dog walkers to dispose of dog waste responsibly. Today (25.6.15), Ted came into school to pick up the competition posters for judging. The two winning poster designers will receive a prize and many will be selected to feature on two huge colourful banners to be displayed on the rear fence of the school. Watch this space for the announcement of the winning posters! SCHOOL COUNCIL UPDATES COMING SOON. IN THE MEANTIME, WHY NOT LOOK AT OUR PROGRESS IN THE BIG PEDAL IN 'LATEST NEWS'?